Tjaart Walraven is the exciting, fresh new face on the celebrity chef circuit. He is best known as the judge of the top-rated Great South African Bake-Off on BBC Lifestyle. His TV success includes his hugely popular cooking segment on the Expresso Show on SABC3. How has this young man from Zimbabwe wound up cooking 5 star dinners on icey glaciers? Tjaart Walraven was born and educated in Zimbabwe. His early exposure to wide open spaces coupled with an entrepreneurial spirit lead him to growing herbs on a commercial level at the tender age of 16. That interest in herbs and spices has led him to a life of cooking. Through his travels he landed a post with the world-renowned French chef, Raymond Blanc (OBE) at Le Manoir Aux Quat Saisons in Oxford, UK. It boasts a 2-starred Michelin kitchen – it’s dedicated pastry kitchen and cookery school helped open a world of love & understanding of food for Tjaart. That experience set Tjaart up to establish his much sought-after business Food Template: Tjaart’s successful business creates bespoke dining experiences for his international jet-setting clientele: from lunch on a glacier in Switzerland to dinners under the stars of an historic Cape wine estate, Tjaart does it all. He further consults on skills development to top-end restaurants, hosts a cooking course to leaners in the Vaal region and has a philanthropic interest in the distribution of basic learning syllabus books throughout SA. 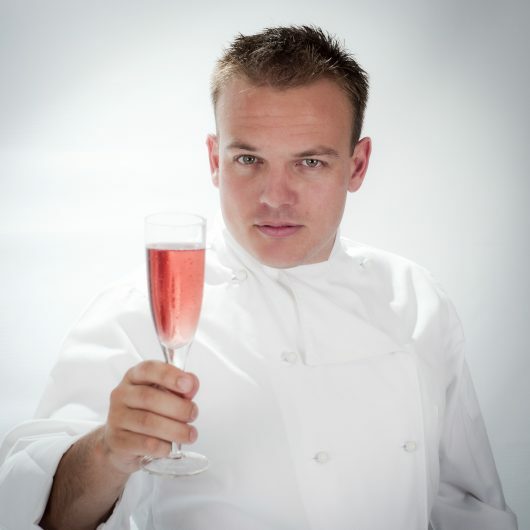 Chef Tjaart Walraven is available for bookings, cooking demos and speaking engagements.